​​​​ SAN ANTONIO – Developers plan to break ground November 2017 on a $320 million, 114-acre master-planned community near the crossing of Loop 1604 and I-10. The development, named University Village, is expected to include three upscale office buildings with 330,000 sf, 995 multifamily units and 112 townhomes, and more than 20 acres of retail and parkland. The phase one is a $51 million multifamily development with 348 units. The developers have reached an agreement with the city to build a five-lane road connecting Hausman Rd. 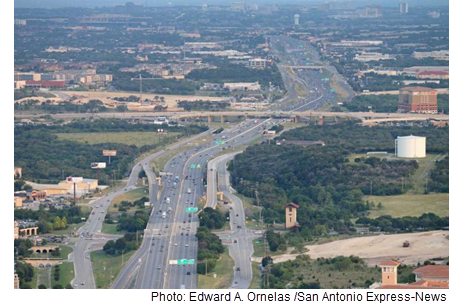 and UTSA Blvd.—with work expected to begin around December. It should take five years to build the entire project. ​Check out San Antonio-New Braunfels Multifamily​, Office, and Retail Market Research.